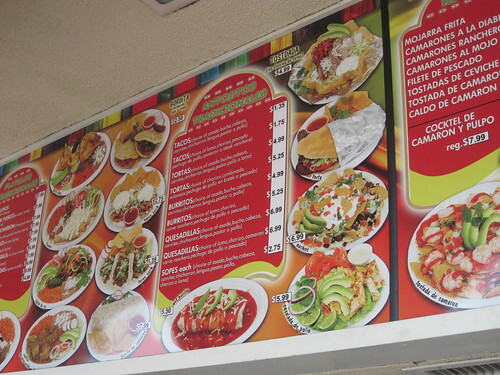 Living in Mar Vista sometimes it’s hard to find that great local taco. No taqueria until recently really had my loyalty. If I want to drive the few extra miles I go to Tacos Don Jorge for their classic LA street tacos. 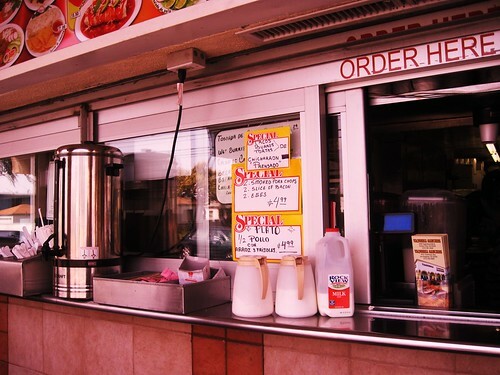 But on the weekend sometimes I’m looking for something more local., somewhere I can go to grab a bag of tacos to go. 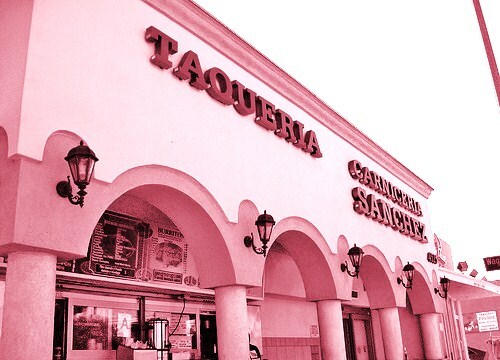 I previously wrote how Taqueria Sanchez is the perfect to go taco. 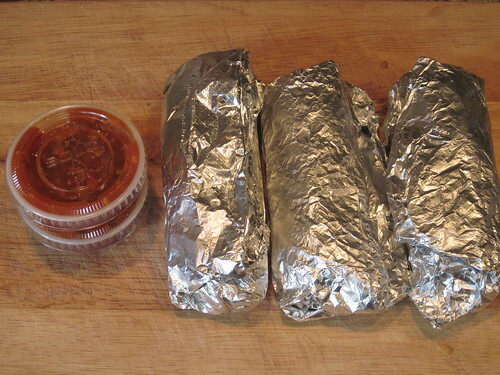 Some tacos wilt away when packed into tin foil but the tacos from Taqueria Sanchez seem better off for it. The tortillas are sturdier and the tacos when unwrapped are still piping hot. The signature taco at Taqueria Sanchez is the lomo taco, a taco with beef tenderloin ,cooked onions and a tomatoey jalapeno salsa. 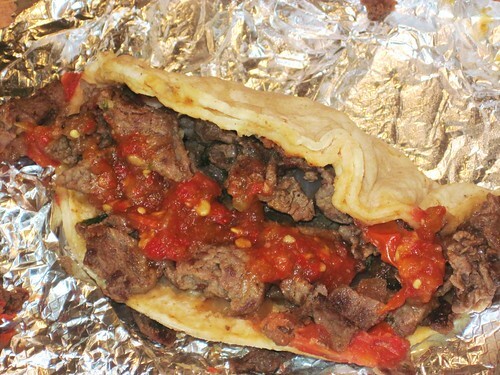 The tortilla soaks up the juice from the beef without falling apart, the salsa has an unexpected heat to it that compliments the beef and the cooked onions give the taco an extra flavor . Have a cold bottle of Jarritos handy and you’ll experience taco bliss as you alternate between bites of tender lion beef and spicy salsa roja and the pop of real soda. 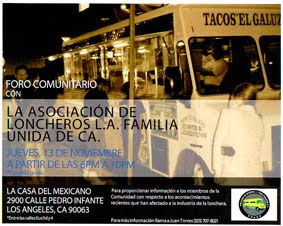 Taqueria Sanchez’s lomo taco is the best street taco on the Westside. Even though the Westside does have some good taquerias I haven’t found a taco as consistently good as the lomo taco. If you want some variety add the shrimp taco and the pechuga de pollo taco to your order. The shrimp taco has a garlicky taste to that goes well with the salsa roja and the pechuga de pollo is char grilled chicken breast taco that puts to shame all those chicken tacos you’ll find at any fresh Mexican grill on the Westside. Don't sleep on the free guac salsa or the chorizo taco @ Taqueria Sanchez either...KILLER!!! Sanchez is awesome. Another great westside taco are the fish tacos at Mariscos Chente.